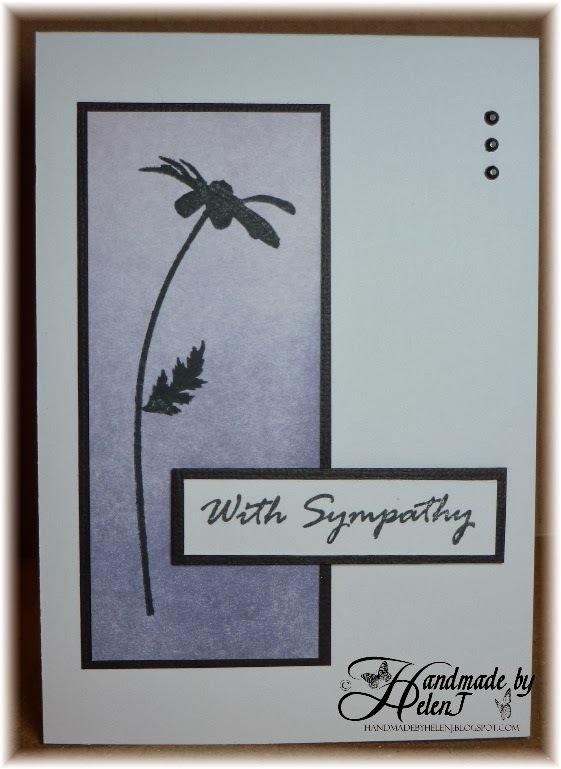 My mojo has gone AWOL again just lately, but the challenge over at CASology of the cue word “Purple” inspired me to make this sympathy card. Unfortunately by the time I’d finished it I was 30 minutes too late to enter the challenge! 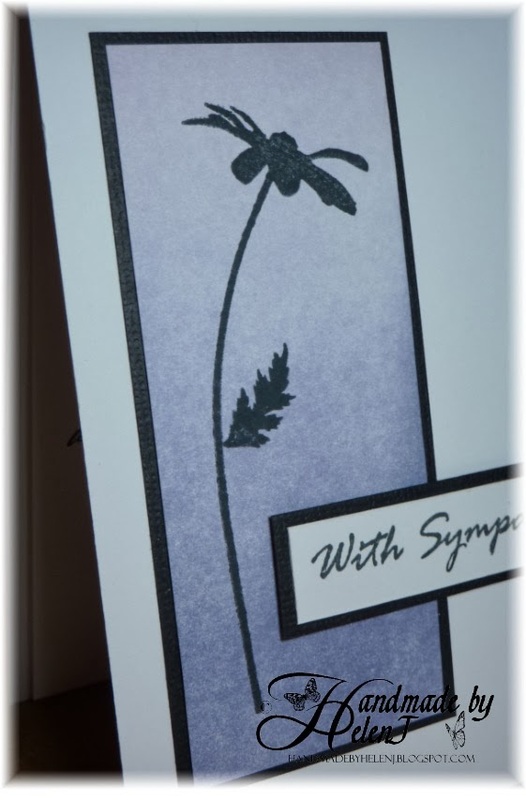 I always think sympathy cards should be simple & understated, so this one was no exception: a brayered background overstamped with an Artemio poppy. The greeting is by Dovecraft. Simples! I found some pictures on my camera of cards I haven’t blogged about so I thought I’d do a bit of catching up. 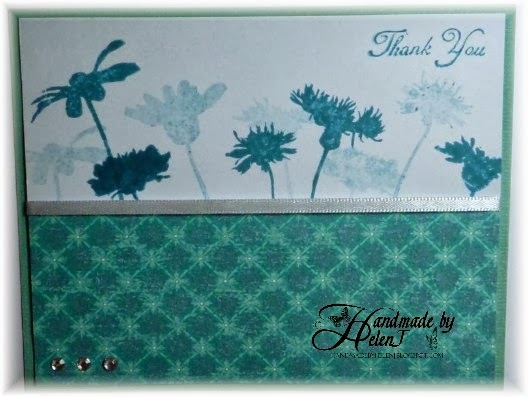 This card was for a lady called Alison from the local Housing Trust who was a huge help to us as we tried to look after my husband’s elderly aunt. Alison really went above & beyond the call of duty so a bunch of flowers & a thank you card were definitely in order! A few challenges have caught my eye this week. 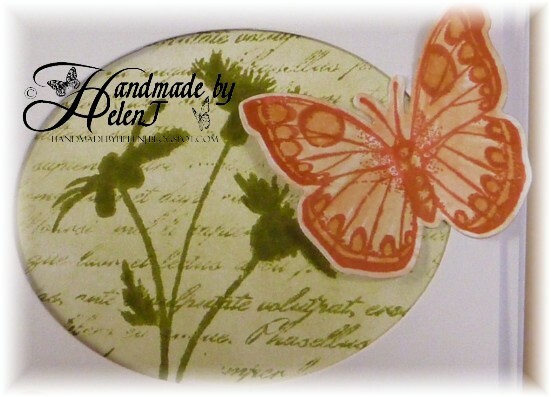 The first is at Stamping Sensations where the inspiration is a picture of poppies. 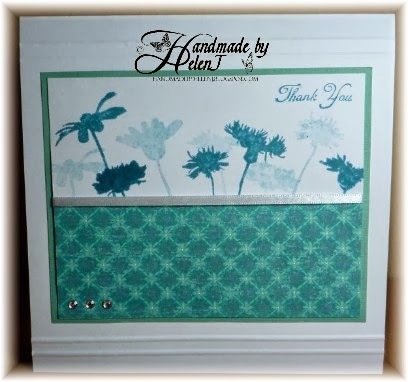 The second is a colour challenge at Less is More, the colours being dark green & rust, and the third is at CAS-ology where the cue is silhouettes. I immediately decided against rust-coloured poppies as they would look like they should be thrown on the compost heap! 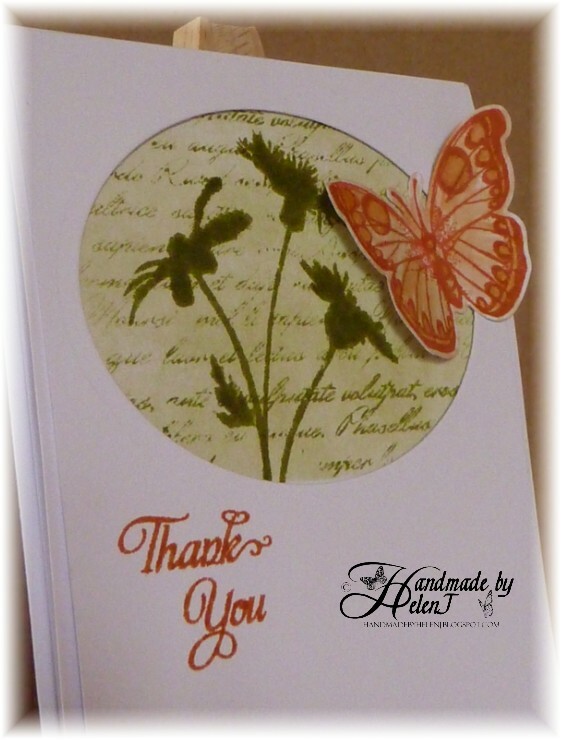 Instead I settled on silhouette-stamped poppies with a brayered & script-stamped background on the base card, behind an aperture cut from a piece of card popped up on dimensional glue. 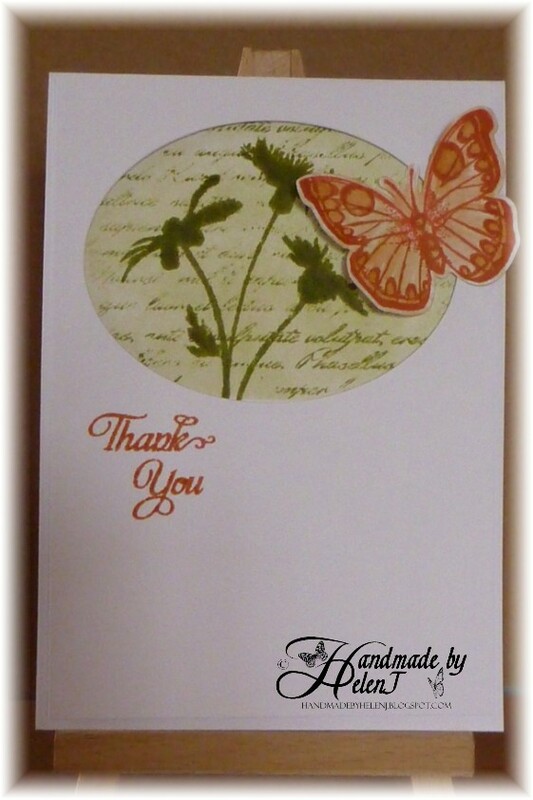 The greeting & butterfly were stamped in rust-coloured ink.